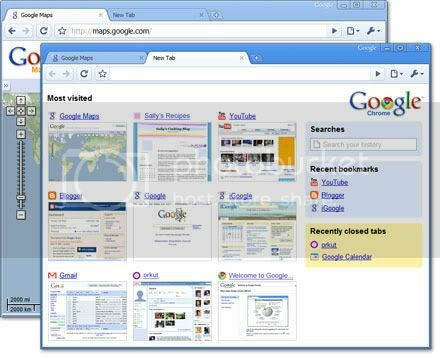 Google Chrome has been gaining a lot of acceptance after users found its performance to be really good. The best thing about this browser is that it is quite fast to start and in quite low on resources whereas other widely used browsers like Firefox take a lot of time to start. Google Chrome is perfect combination of minimal design with sophisticated technology to make the web faster, safer, and easier. Portable versions of softwares are pretty useful, they can be handy at times and launched directly from your pen drive. A German developer has released a portable version of Google Chrome.